This year’s MIAA Conference Tournament lacked the usual flare and drama of previous treks. There was no team race as Mount St. Joseph came into the second day of competition at Gilman on Saturday holding a 31-point lead that grew to 75 before the placement matches. When it was all said and done the Gaels won the title by a whopping 89 points over rival No. 2 McDonogh, 332-243. The individual matchups played out as expected with no big upsets occurring over the two-day affair, a rare happening for this event. The MIAA tournament is usually filled with craziness and upsets, this year though, the wrestlers decided to follow the script. The Gaels of Mount St. Joseph were absolutely dominant in winning their third consecutive MIAA Tournament crown. St. Joe put an exclamation mark on its standing as the state’s top-ranked team with all 14 wrestlers placing third (a feat that may be a first), crowning six champions out of their 10 finalists (both tournament highs). “Overall I felt the team wrestled well,” St. Joe coach Harry Barnabae said. “There are still some areas in which we can fine tune going into the MIS State Tournament. However, when you have all 14 wrestlers place in the top three of the MIAA you have to be pleased. At 120, Chris Barnabae (No. 1 in the latest Maryland state rankings by BillyB’s Wrestling World) continued his assault on the record books and fellow competitors, picking up four pins for his second consecutive MIAA championship. The effort earned Barnabae the Outstanding Wrestler award. The junior, who is ranked 13th in the nation by FloWrestling, stuck Loyola’s No. 4 Shawn Strand in the second period, 3:30. Barnabae’s three other falls were all in the first period. No. 1 Nathan Porter squared of with the state’s No. 2 126lber, PJ Truntich (Archbishop Spalding) for the third time in three weeks and put another win on his resume, 4-2. The previous meetings were two weeks ago at the Ocean Lakes Invitational, then last Saturday (the 2nd) in a dual meet. Junior Connor Strong (No. 1) put his second MIAA title in the books (second last year) with a hard fought, chess match over No. 2 Max Hammond (St. Paul’s), 2-1 at 145. No. 2 Zach Phillips worked overtime for his 160lb title over No. 3 Dylan Blau (St. Paul’s), 8-6, in the sudden death frame. No. 1 Justin Henry captured his second consecutive MIAA title posting a solid, 5-1, win over McDonogh’s Jackson Bonitz (No. 5). None of heavyweight Isaac Righter’s (No. 2 in MD, No. 9 by Flo nationally) four adversaries made it past the one-minute mark, with all four of his pins coming in 59 seconds or less, including 59 seconds over No. 8 Bennett Traurig (Loyola) in the finals. Falling short of their dreams of gold were Matthew Jun (138), Chris Roybal (152), Jonathan Short (170) and Parker Warner (220). Getting bronze medals hung from their necks were, Joe Couch (106), Jacob Wright (113), Clement Woods (132) and Ethan Stern (195). McDonogh’s showing was strong enough to win most tournaments. Unfortunately for them, this one happens to have St. Joe in the field, so the Eagles impressive performance was relegated to a second-place finish. Cooper Flynn, FloWrestling’s No. 10 113lber, reinforced his standing as Maryland’s top dog at that weight with his fourth win in a row over No. 2 Wil Guida (St. Paul’s), 3-2. Guida’s last win over Flynn was in these finals a year ago. “Last year, he beat me here,” Flynn continued. “I had a lot of pressure going into the match last year, and all week leading up, I was coming off the win from our league match with a 4-0 win. I just tried to use that to build off of. To come in and have fun. I already knew I could win so I was just trying to build on that lead a little bit more. No. 2 Ray Kable (132) joined the four-timer club with his 7-2 victory over Spalding’s Joe Fisk (No. 5). Kable now turns his sights to that elusive state title. The three-time state runner-up appears to be the favorite for this year’s state superiority according to the recent rankings. No. 2 Harrison Trahan showed his state ranking was truer to his abilities than his seed (third), taking out the No. 2 seed (Spalding’s Garrett Fisk, No. 3), 4-2, in the semis, then downing St. Joe’s top-seeded Roybal (No. 8), 7-4, in the gold medal match. “I think it was a great experience for me,” Trahan added. “Especially after being in the finals last year against Ryan Garretson and losing. I worked hard ever since then, all over the summer. Going to Fargo, getting as much experience as I could, and I came back ready for it this year. No. 2 Dominic Solis (170) won his second title in three tries with a 7-3 win over No. 8 Short (MSJ). Garrett Kappes (No. 1 at 220) defeated another Gael rival, Parker Warner (No. 6), 7-2, for his first MIAA title after being third as a freshman and second as a sophomore. Claiming silver for McDonogh were Bonitz and Jack Wimmer (195). Cody Williams (285) captured bronze. Sean Scott (138) and Ryan Leventhal (145) were fourth and Mohammed Ndiaye (126) finished in the sixth spot. No. 10 Loyola’s bright future was on display this weekend as the young Dons finished third in the team race ahead of perennial powers No. 4 Spalding and No. 8 St. Paul’s. Loyola went into the placement round nursing a five-point lead over Spalding for third. That lead shrunk to two, but that was enough to outpoint their long-time nemesis. The Dons did not crown any champs, in fact they only had two finalists, Stand and Traurig, but their strong showing was built off depth, with nine total placers, seven doing the dirty work in the consolation rounds. Josh Aybar (138), James Conway (160), and Ian Takas (182) earned bronze for their efforts. Cole Myers was fourth at 126. Placing fifth were Matty Walsh (113) and Jeremiah Aybar (138). Ben Breschi was sixth at 152. Spalding’s No. 3 Rick Couch won his first MIAA crown on his final attempt. The senior blanked St. Joe’s Jun (No. 8), 6-0, with a strong showing in the 138lb final. St. Paul’s Nasir Wilkinsen won another one-versus-two battle over Spalding’s Brady Pruett. Wilkinsen was the favorite based off his regular season major-decision, 11-2. Pruett closed that gap, but the Crusader still pocketed the win, 8-4. No. 2 Jack Parr made the move up to 195lbs for his final postseason plunge. 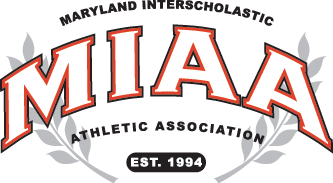 The Maryland recruit put MIAA title number three in the bank with an overtime decision of McDonogh’s No. 3 Wimmer, 6-4. John Carroll’s Julianne Moccia became the first female wrestler to place at the MIAA Wrestling tournament. Moccia, who won titles at Parkville’s Knightmare Invitational and Franklin’s Warpath Invitaional this year, was fifth at 106. To reach the podium, Moccia avenged a regular season loss to Gilman’s William Bressner. In the fifth-place bout, she downed Curley’s Bradley Lintz, 11-6. Lintz defeated Loyola’s Jimmy Douglass in the blood round. Moccia is 1-1 with Douglass, losing their last encounter. Isaac Right won the Edward Russell Cup for “most points for his team”. The William Pheil Sportsmanship award went to Loyola. In a tournament that lacked the usual flare there was still a lot that pleased Harry Barnabae. “It’s difficult to pinpoint any specific wrestler,” Barnabae remarked. “They all had some great moments. I would have to say that outside of our champions, some matches that come to mind are Mathews Jun’s come from behind victory over a very tough opponent in Sean Scott of McDonogh. Ethan Stern’s OT loss in sudden victory to Jack Wimmer. Pictured above: Mount St. Joseph’s Chris Barnabae works from on top in his 120 finals against Loyola’s Shawn Strand. Barnabae earned a second period fall, his fourth of the event, and was named the tournament’s Outstanding Wrestler. PreviousFrom one dynasty to another?